It stands up to scratches, spills, scuff marks, dirt – and it's more stylish than ever. 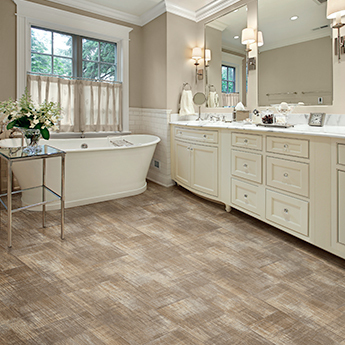 Yes, I’m talking about vinyl flooring. 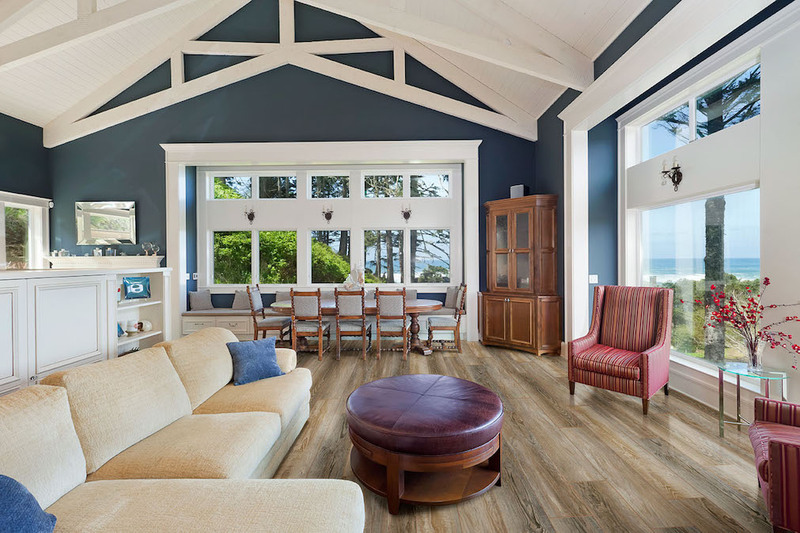 Vinyl comes in many different formats for residential settings – sheet, Luxury vinyl (tile and planks), and now rigid core SPC (stone plastic composite) or WPC (wood plastic composite). But that’s only part of the story. The big news in luxury vinyl is waterproofing. Many of these premium floors offer protection against spills -- which often covers pet accidents as well. That makes them extremely well suited wherever moisture is present -- kitchens, baths, laundry rooms, entryways, etc. Vinyl is wear- and stain-resistant, is easy to clean, is more forgiving underfoot than other hard surfaces. But there's more. With a broad spectrum of style and color, and new technologies can replicate textures found in natural materials, you can find everything from realistic stone, marble and wood looks to ceramic patterns, and more. 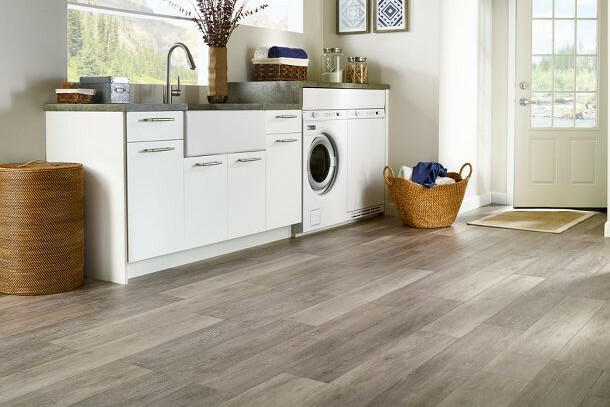 The average sale of a vinyl floor is $1,500 but that may not accurately reflect the increased prices associated with “luxury” vinyl products – LVT, LVP, WPC and SPC flooring. Vinyl is versatile, too, with various installation options, including click locking systems for luxury vinyl that make it DIY friendly. What Exactly Is SPC Flooring? Why is Vinyl So Hot Right Now? LVT/P, WPC, rigid core – What the …? How Much for Vinyl Floors? Novalis Serenbe LVT shown grouted demonstrats LVT's great design flexibility. Vinyl is the preferred flooring for spaces where moisture is present. Shown Armstrong Flooring LVT.